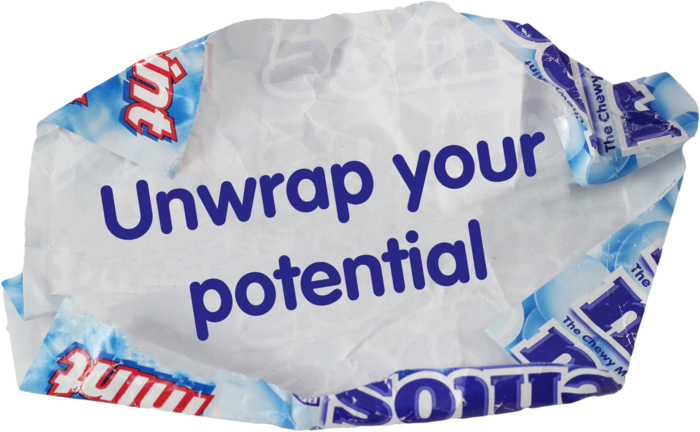 We have an exciting opportunity just waiting for you to unwrap. Perfetti Van Melle people are the key to our success. Here at Perfetti Van Melle, we get to make things happen. We work in an uncomplicated, entrepreneurial environment where we can drive innovation. Our organizational structure is always open to change. We’re not only trusted to deliver, but also rewarded for it. All of us know that we have the support we need to perform our roles well. Our colleagues and our leadership team offer support and guidance. We work together to overcome challenges and to celebrate our successes. Innovation and growth require that we always be willing to learn. We have considerable learning and development opportunities. As employees of Perfetti Van Melle, we’re encouraged—and supported—in our efforts to learn new things, to grow in our roles, and to take on new responsibilities. Our employees work on global, influential, FUN brands! We have great brands to work on and everyone has heard of them. We get to create candy, mints and gum that consumers love—and we have fun in the process. How sweet is that! We have fun not only with the products we create and with our team members here at Perfetti Van Melle, but also during the many activities we enjoy together outside of our headquarters. Each year, we get together at an area theme park for our summer picnic. The winter holiday season is always celebrated with an employee party. And of course, there’s nothing more fun than Halloween when you work for such an innovative candy company. Here at Perfetti Van Melle, we believe in giving back to the Greater Cincinnati / Northern Kentucky community in which we work. Each year, we hold a Community Day. We close our Erlanger, KY offices and the manufacturing plant. Our sales team comes into town to join us. Together, we spend a day volunteering to enhance and upgrade school or neighborhood playgrounds. We work in local gardens that grow food for area food banks. We clean up and beautify urban areas that are in need of a little help. Always innovating what confectionery can do. Our consumers are always seeking new experiences and concepts. That’s why we’re constantly striving to surprise and delight them with new products, new flavors, new packaging and new product concepts that will help them enjoy “sweeter” moments in their lives. Research and development plays such an important strategic role at Perfetti Van Melle. It’s an integral part of our innovation process. Our research and development team in Erlanger, KY is constantly exploring new confectionery experiences for our consumers. Innovation and growth fuel us. Staying fresh against competitors and continuing to please our consumers requires us to stay ahead of the trends and challenges us constantly. This means we move fast. Every day is different—and exciting. Our ability to grow and change over the years is what makes Perfetti Van Melle so dynamic. We are always innovating what confectionery can do. We love knowing that our consumers will never stop wanting something new, something more. And after all, our consumers are the reason we’re here. We strive to excel in every step leading to the launch of our products. This means we don’t stand still. Of course, why would we want to? We are constantly seeking new ways to innovate and to deliver our delicious, chewy goodness to our consumers. The way we’re structured enables us to adapt to new ways of working. We work together—across functions and around the globe—to share best practices, to innovate, and to create the best for our consumers. At Perfetti Van Melle, we have a range of career prospects. Find out more about the positions available and apply online.